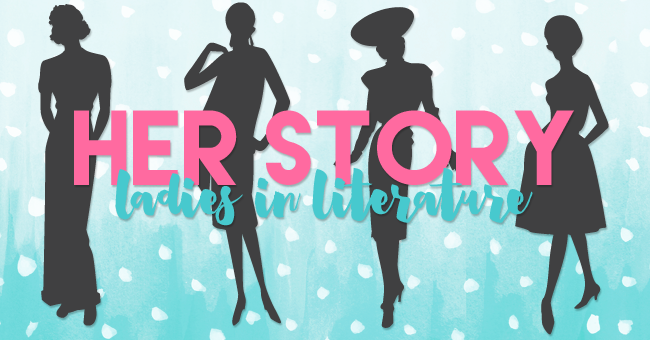 Her Story: Ladies In Literature is a special, month-long series on Pop! Goes The Reader in which we celebrate the literary female role models whose stories have inspired and empowered us since time immemorial. 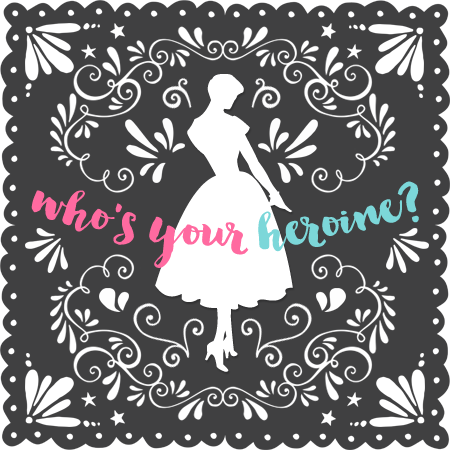 From Harriet M. Welsch to Anne Shirley, Becky Bloomwood to Hermione Granger, Her Story: Ladies In Literature is a series created for women, by women as twenty-four authors answer the question: “Who’s your heroine?” You can find a complete list of the participants and their scheduled guest post dates Here! I read I’ll Meet You There a few months ago, a while after I’d heard friends gush over how amazing it was. I went into the book knowing good and well that there was a chance I’d turn into a blubbery mess (okay, knowing me, I would absolutely turn into a blubbery mess). What I didn’t expect was to identify with the main character on such a personal level, and to set the book down wishing that I’d “met” her ten years ago. Skylar Evans has it all planned out: she’s going to get out of her nowhere town and grab the future she’s planned for herself without looking back. She’s driven and excited, all with the support of her mom, her boss, and her friends. Let’s just say that I can relate to Skylar in more ways than one. When I was in high school, life happened. A lot. But one thing really struck me as I was reading because it’s something I struggle with to this day: allowing loyalty to others to shape the decisions we make for our own lives. Gather ’round, everyone. We’re going to have a short story time. In my senior year of high school, I received scholarship offers to two different colleges, one of which was my dream school. This was the place I’d dreamed of for years. I was thrilled. My friends supported me. My family was cheering me on. But there was this person, this one person I’d allowed into my head. (I think we all have one of these people at some point in our lives.) This person never outright said so, but over the course of a few months, they convinced me that maybe going away to school wasn’t the best idea. Maybe I should stay in town for another year or two. Maybe I wasn’t strong enough to make it in the world on my own just yet. I didn’t go. And while I’m 110% convinced that life worked out the way it was supposed to (I firmly believe that nothing happens by accident), I still get a little sad that Teenage Michelle allowed one person to have so much power over her. I’m sad that she didn’t believe in herself more. Skylar doesn’t have one someone pulling her away from her opportunities; in fact, everyone around her is pushing, telling her to get the heck out while she can. The person holding her back is herself. She’s also the person that keeps herself going. She’s scared. She’s anxious. She gets angry. She falls. But she also gets back up again, and again, and again. She ultimately realizes that she has to do what’s best for her. And that’s something I’m still learning — that, while loyalty is most definitely important, we also need to realize when it’s time to choose what’s best for us and our own lives. I wish I’d been able to read about Skylar Evans in high school. I wish I’d been able to see that it’s okay to have doubts, that it’s okay to be worried about what you’re leaving behind and still leave anyway, if that’s what’s best for you. But even if I didn’t have her then, I’m glad I was able to read about her now. Because even though I’m approaching thirty, there are still times when I’m faced with choices that scare me—I don’t think that’ll ever change. But now I know that sometimes it’s necessary to move on while leaving some things, and some people, behind. It’s hard. It’s painful — sometimes incredibly painful, especially when it involves people that we love so very much. But there comes a time when we have to choose what’s best for us, and have faith it’ll all work out. Because it will. So thank you, Heather Demetrios, for characters we love to root for, and for the reminder that life has its own crazy way of working out. Enter Marisa Marlowe, the new girl in town who gets a job at his momma’s flower shop. Not only is Marisa some home-schooled super-genius, she’s also a baseball fanatic and more than willing to help Austin study. As the two grow closer, there’s something about Marisa that makes Austin want more than just baseball and out of Lewis Creek – he wants a future with her. But Marisa has a past that still haunts her, one that she ran all the way to South Carolina to escape. As Austin starts to peel back the layers of Marisa s pain, it forces him to look beyond the facade of himself and everyone he thought he knew in his town. 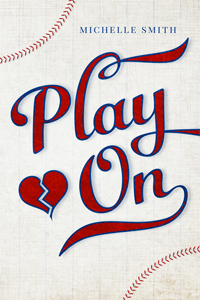 What he sees instead is that in a small town like Lewis Creek, maybe baseball isn t everything – maybe it is just the thing that ties them all together. Oh gosh, I LOVED Skylar. I just identified with parts of who she was (this included, by the way), and I love that you chose her for this feature, Michelle! 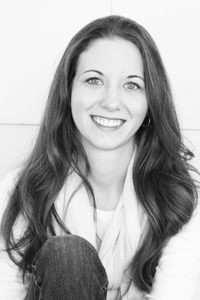 Holly J recently posted…Have You Seen This?